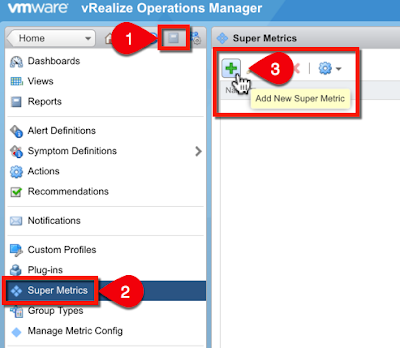 If you are already familiar with the vROps API and Super Metric concepts, here is a quick summary of the steps needed to accomplish this task. If not, read on for detailed step-by-step instructions with screenshots. And there you have it, not too bad. 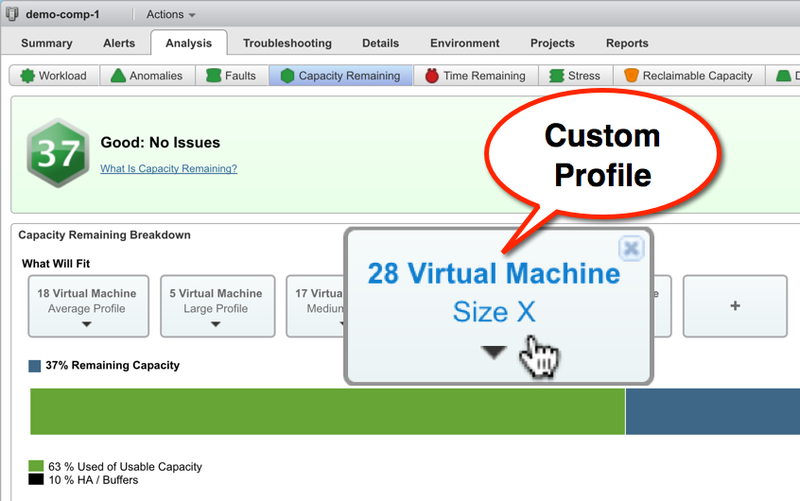 First we need to find define a Custom Profile that fits our organization standard size. There are two way of doing this. 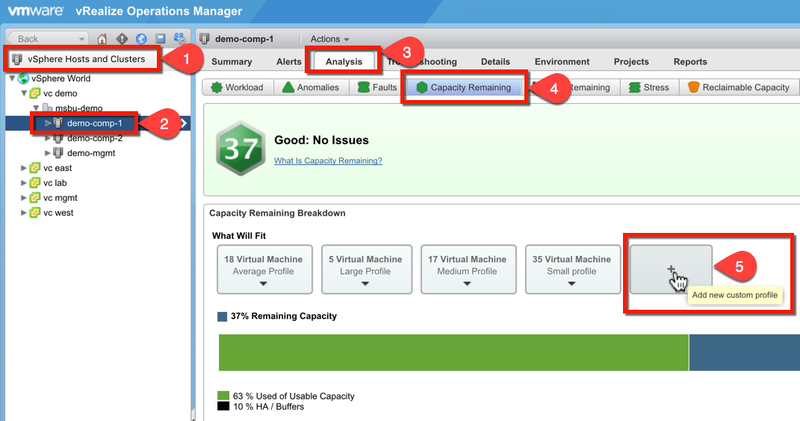 You can just click the great big plus sign under What Will Fit next to the predefined sizes on the Analysis > Capacity Remaining dashboard at the vSphere Cluster level. Alternatively, it can be added from Content > Custom Profiles. Regardless of which method you use it will launch the same Add New Profile wizard. 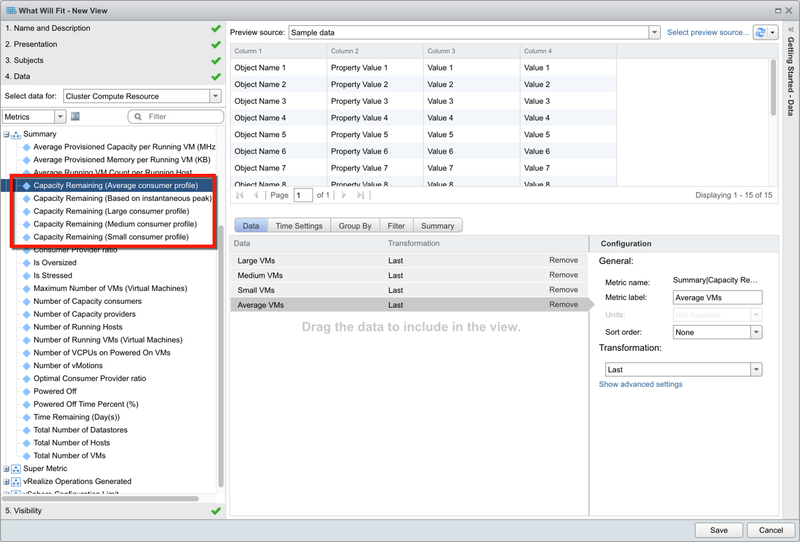 Specify the Profile Name, Filter Model(s), and your resource sizes for CPU, Memory, Disk, and IO if enabled in your Policies. 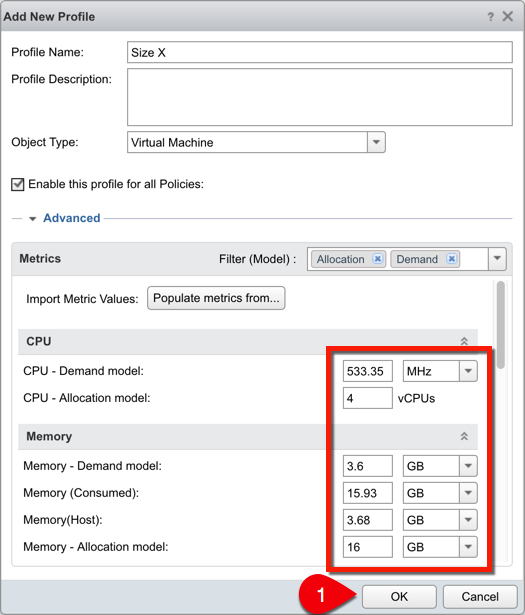 Optionally, you can prefill the resource sizes by Importing Metric Values, click Populate metrics from... and select a VM you would like to use for the base values. Once the resources are populated, click OK to save the new profile. You can create multiple profiles depending on how many standard sizes your organization wants to use. After the new profile is created it will appear as one of the What Will Fit options. NOTE: Keep in mind that your # Virtual Machine will probably have a ? mark instead right after you create a new Custom Profile. This is because capacity is calculated once every 24 hours at night. 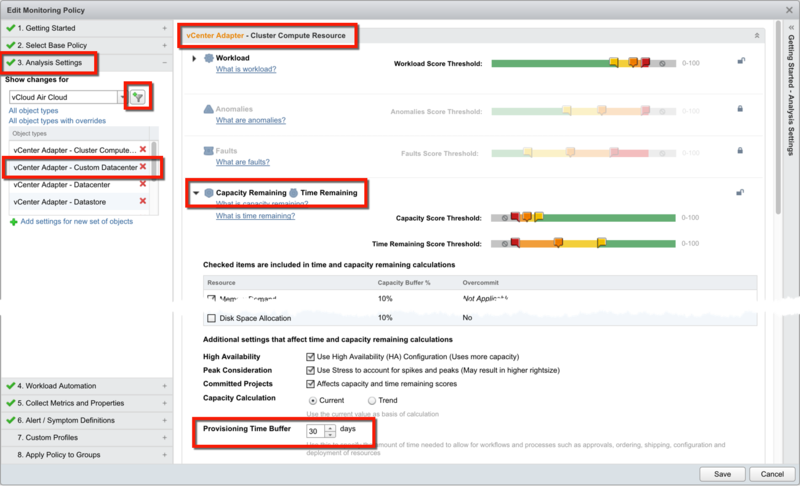 To force the calculation to happen in a more reasonable amount of time you can edit the Provisioning Time Buffer setting (add/subtract a day) in the Policy used by the vSphere Cluster in question. This will force new Capacity figures to be calculated including the new Custom Profile. You may have to wait 10 to 30 minutes to see results depending on the size of your environment. Now that we have the basics out of the way, let's move on to the real meat of this post. As discussed in the opening paragraph these cute little Custom Profiles do not show up in other places in the GUI. This is somewhat inconvenient if you would like to create a report or a dashboard that uses the custom VM sizes you just worked so hard to define. Do not despair any longer. OK then, let's find our new Custom Profile's Metric Key using the API. This is a two step process. 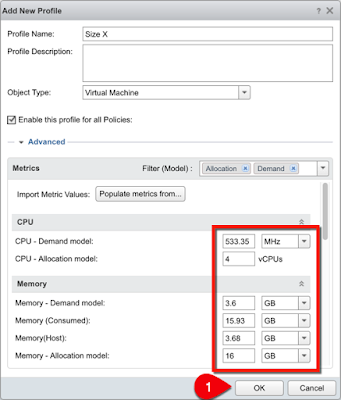 First we need to get an Identifier for one of our vSphere Clusters which we can then use to enumerate all metrics and get the Metric Key of our Custom Profile. To get the list of all vSphere Clusters monitored by vROps just open a Web Browser and go to the following URL. 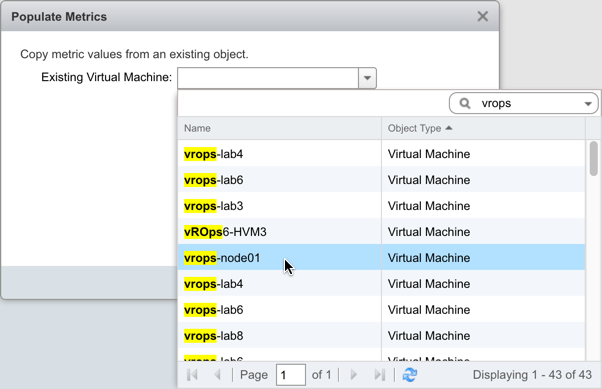 Replace <vROpsFQDNorIP> with your vROps name or IP. 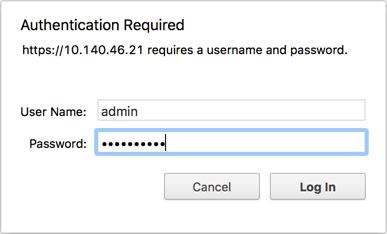 You will be prompted to login, use your admin credentials. 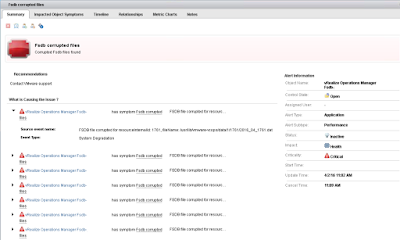 Once authenticated you will get a listing of all vSphere Clusters. 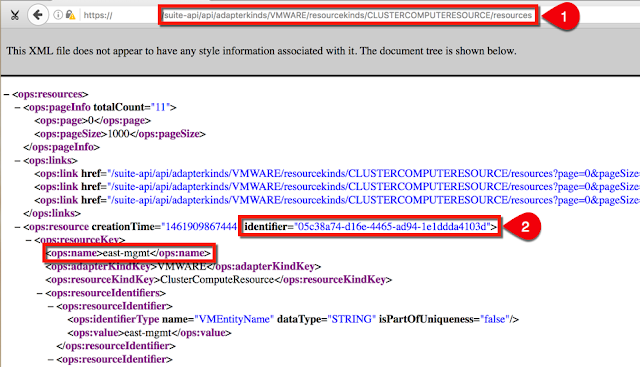 Just highlight and copy hex number in the Identifier field for the first vSphere Cluster listed, it does not matter which cluster the ID is for. Only copy the number, no quotes, etc. With the vSphere Cluster identifier safely stowed away in your computer's clipboard, edit the browser URL to make it look like this. If you did everything right you should get a listing of all metrics and their current values for the cluster ID you specified. Now use the browser's find feature and search for the name of the Custom Profile you created at the beginning of this post, in my case it was Size X. NOTE: You will find few metrics that will match your profile name, there will be one for CPU, Memory, and Disk. However, the one we need is summary. You could of course create a super metrics for all of these if you're so inclined. I'll just stick with summary because that's the important one for this example and you can just rinse and repeat the same steps to create more super metrics. Now that we found our Metric Key let's copy summary:Size X|capacityRemainingUsingConsumers into our clipboard, we'll need it to create our super metric in the next section. 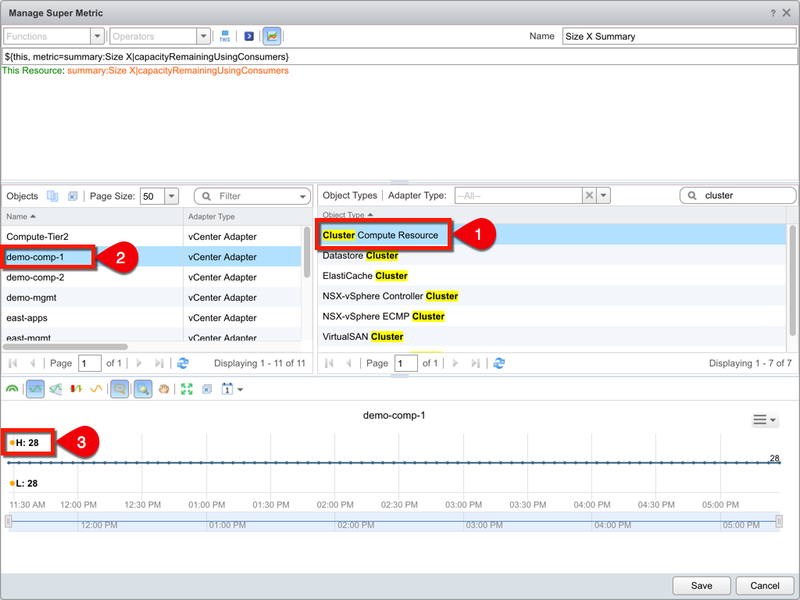 NOTE: You can also use a REST API Client to do this instead of a web browser. I typically use Advanced REST Client or Postman, but for simplicity I decided to opt for the browser since I was not using the API to post anything. With our Custom Profile Metric Key we can now go on and create a Super Metric that will fetch the value from the database and allow us to access it via various Metric Pickers in the GUI opening up new dashboard and report possibilities. Go to Content > Super Metrics and click Add New Super Metric. 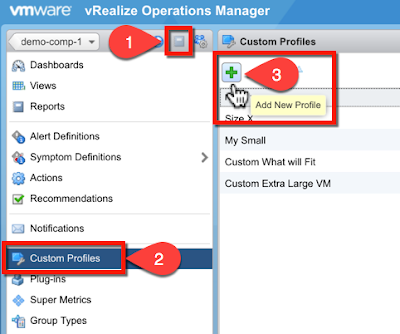 In the Manage Super Metric wizard specify the Name, I'm going to call mine Size X Summary so it references my Custom Profile. 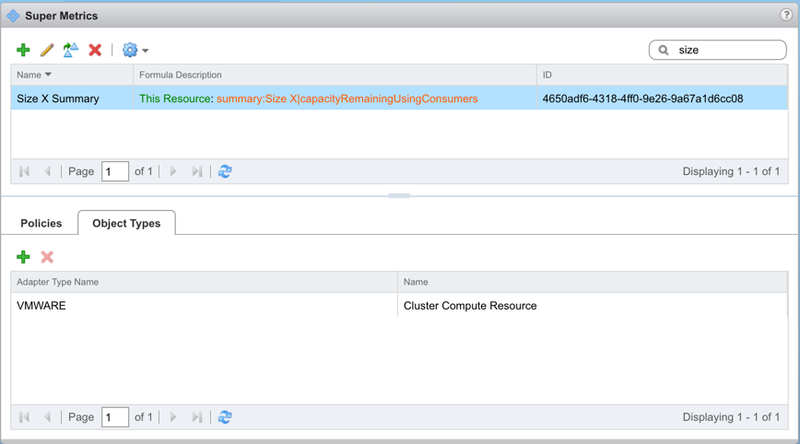 Then in the Object Type section we filter for "Cluster" and select Cluster Compute Resource from the list. (Remember that in vROps Cluster Compute Resource = vSphere Cluster.) 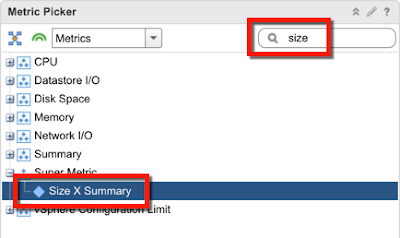 Now, in the Metrics section we filter for Size, but the results do not show Size X Custom Profile under the Summary node. You will have to replace Size X with your Custom Profile name. With a valid formula we can preview our super metric values by clicking the Visualize Super Metric button. This will change bottom section of the Super Metric wizard from displaying Metrics and Attribute Types to a Metric Chart. 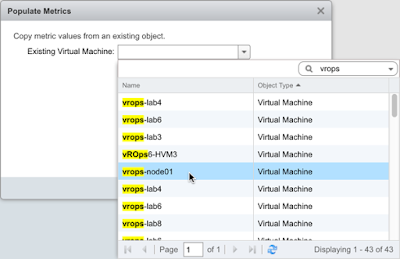 In order to preview the values Select Cluster Compute Resource under Object Types, then click one of the vSphere Cluster names on the left under the Objects. And there you have it, 28, which is the same as what we saw earlier when we created the Custom Profile. Click Save to save your new super metric. NOTE: If the visualization does not display a chart, use the Date Range to change it from the default Last 6 Hours to at least 24. 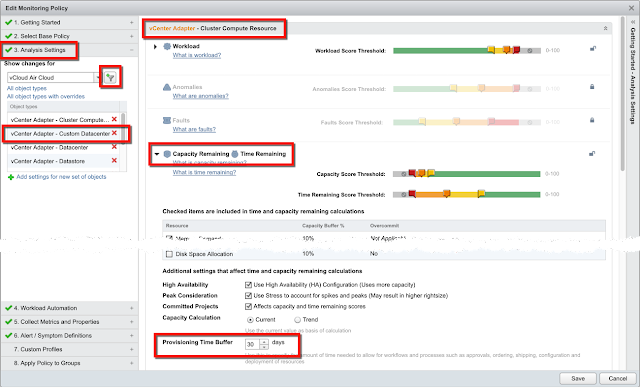 This is because as mentioned earlier the capacity calculations are only performed once per day. Select the Super Metric we just create and in the lower part of the screen click on Object Types and then click Add Object Type. 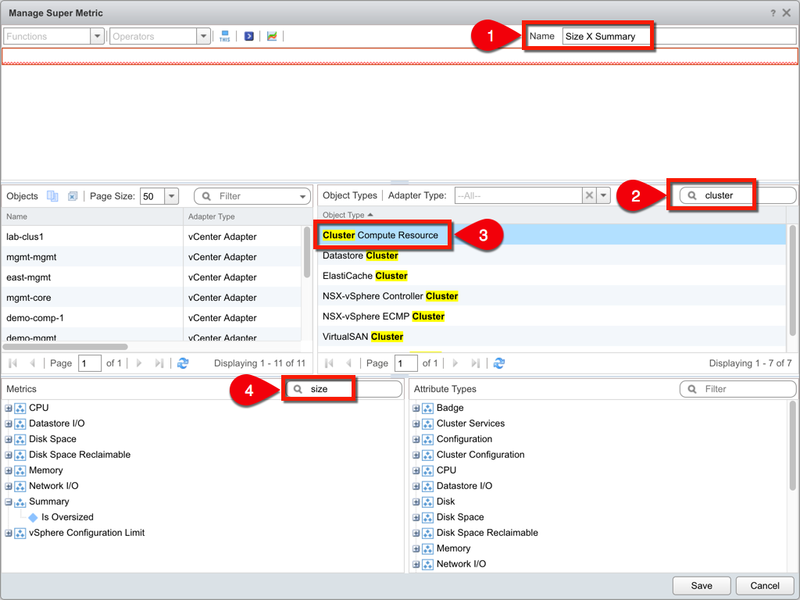 On the Select Object Type pop-up click the drop-down arrow and expand vCenter Adapter, then select Cluster Compute Resource and click Select. We should now have both the super metric and its object type defined. One last thing we need to do it to go to our Policies and enable this super metric so it can start collecting data and become accessible via Metric Picker in the GUI. 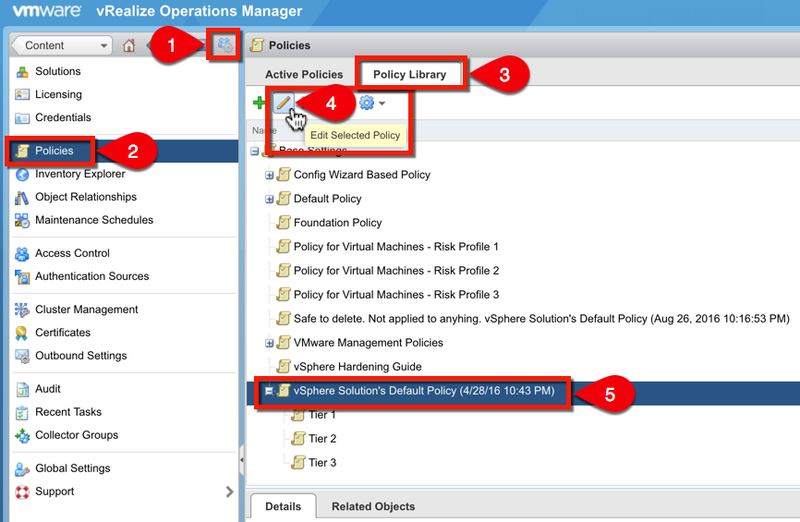 Click on Administration > Policies > Policy Library. Select the policy that's used by your vSphere Clusters and the Edit Selected Policy button. 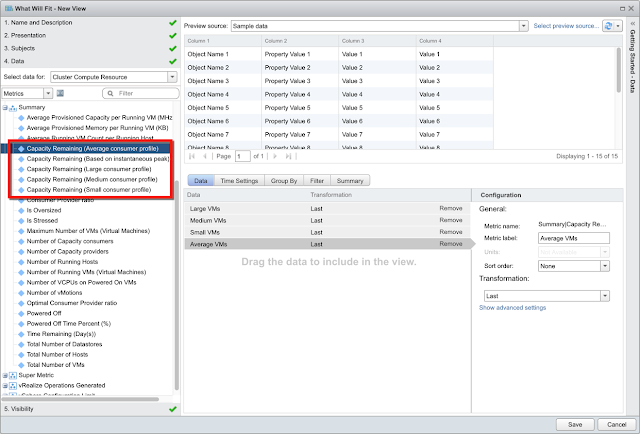 In the Policy wizard click on Collected Metrics and Properties tab. In the Attribute filter type the name the Super Metric you created for your Custom Profile. Select the Super metric that corresponds to the Cluster Compute Resource Object Type and click the drop-down arrow in the State Column. Select Local and click Save. This enabled the Super Metric, initiate data collection, and make the Super Metric accessible. Woo Hoo! Now for the victory lap let's create a quick dashboard with some views using our new custom profile based super metric. 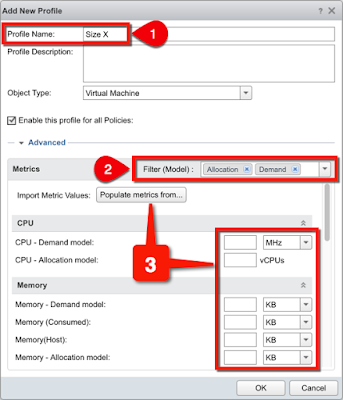 As promised we can now see our Custom Profile as a Super Metric for the Cluster Compute Resource. And here an example of a simple dashboard using our new Super Metric. The What Will Fit into the Select vSphere Cluster is a List View that can also be dropped into a capacity Report. 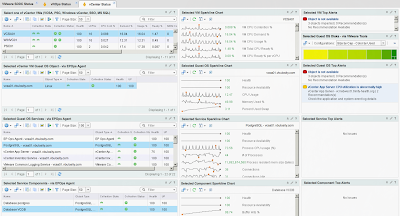 NOTE: If you like the new Scoreboard visuals, check out my blog post on what's new in vROps 6.3 where I take a deeper walk-through all of the new features I discovered beyond what was in the release announcement. 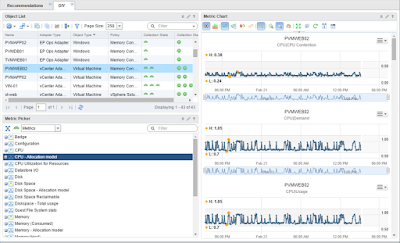 A closer look at what's new in vROps 6.3. Here is an XML Interaction File example used for the Scoreboard widget. Enjoy chaps! It could be done. I hope this gets you over the hump and on to creating some awesome custom dashboards and reports using the new custom profile super metrics.